The new XPS 15 differs from its little brother in so many ways, not only in size. The 13-inch version, which we reviewed a couple of months ago, is more of a business-oriented machine – it’s ultra-portable, light, has great battery, at least, the FHD version, and the keyboard is just right. Although, the touchpad performance was kind of wacky at times. Luckily, the 15-inch version improves that. So the XPS 15 is more powerful, has bigger screen, obviously, yet it’s not much heavier or thicker than the 13-inch variant. 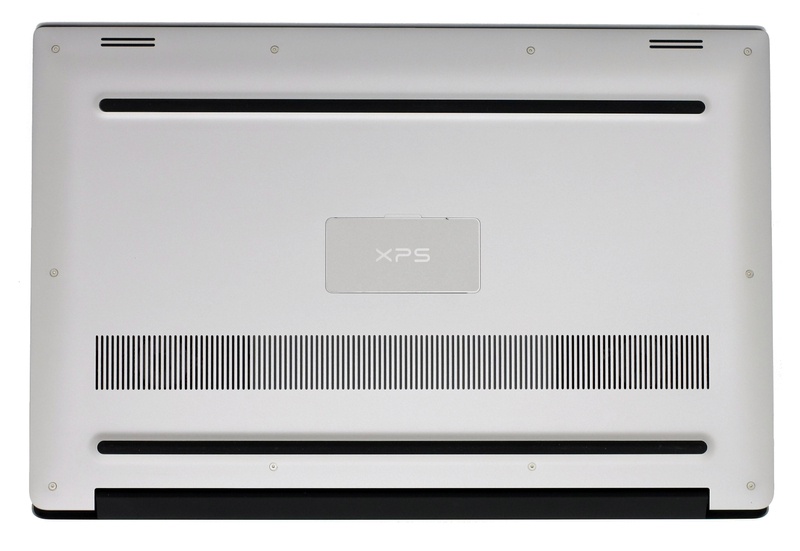 While packing a 4K touch panel, Core i7-6700HQ CPU, and GTX 960M GPU with aluminum build, the XPS 15 weighs just 2.0 kg and it’s 17 mm thick at its thickest point. It’s really impressive compared to other machines that have the same hardware and Dell’s creation can be a good alternative to some of the Apple MacBook Pro configurations. But to be honest, what really is worth considering in this notebook is the flawless Ultra HD screen. It’s so precise that designers, video editors, and photographers can do their job on the go without missing the big professional monitor at home. Check the whole review below to find out more about this awesome screen. 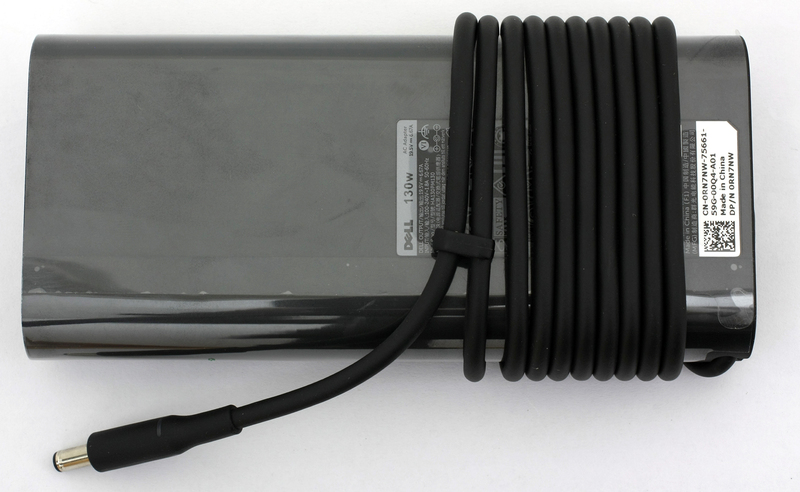 The notebook comes in a luxurious black box packed along with the usual user manuals, AC adapter and charging cable. As we already mentioned, the build quality and design are astonishing, but we should not be settling for anything less for a Windows notebook costing around €2 500. Let’s quickly revise the XPS 15’s chassis since there are some differences to the XPS 13 worth considering. 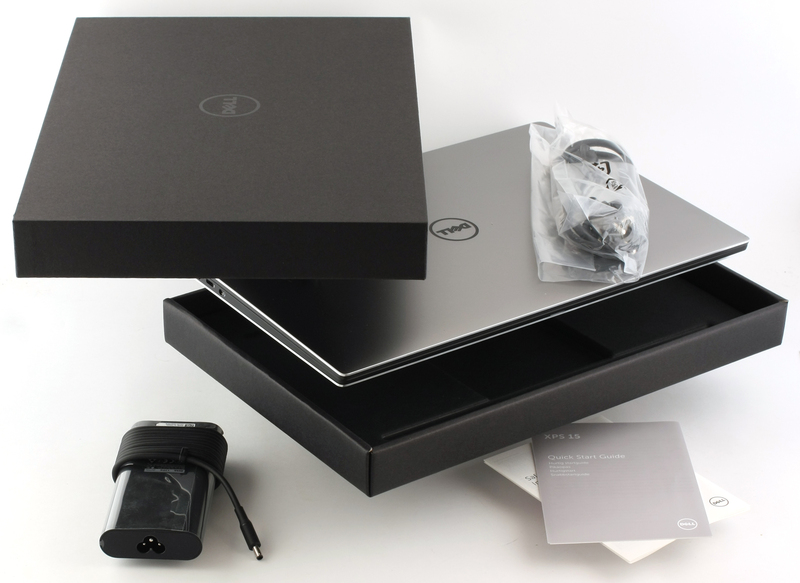 Just like the XPS 13, the 15-inch variant has metallic anodized aluminum lid with Dell’s logo in the middle. The hinge feels just right and the aluminum plate doesn’t bend under pressure. It feels stable and secure but a bit overly tightened, On the other hand, the screen doesn’t wobble as much when using the touchscreen. That’s a rare find on such machines. On the other side of the lid we see the 15.6-inch display with incredibly thin screen bezels, In fact, they are so small that the webcam is placed on the bottom bezel near the company’s logo. It really helps with focusing on the content on the screen and it makes the notebook more compact and it’s actually one of the smallest 15-inch devices on the market. Anyway, the bottom piece is also made of the same aluminum plate but, this time has grills for extra airflow and small openings for the loudspeakers. 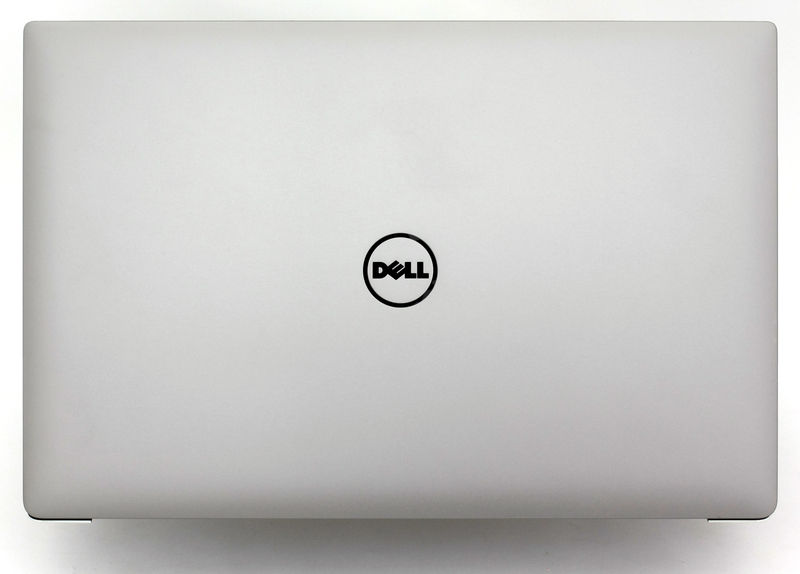 A small lid with XPS’ logo hides the usual product information. That’s a nice finishing touch that doesn’t ruin the overall appearance of the machine. Contrary to the aluminum housing, the interior, and the sides feature carbon fiber composite with matte, soft-touch barely transparent finish. When closed, the notebook looks like a premium sandwich with sleek design. The front part of the chassis is only 11 mm thick while at its thickest point, where the hinge is, the machine’s height is 17 mm. 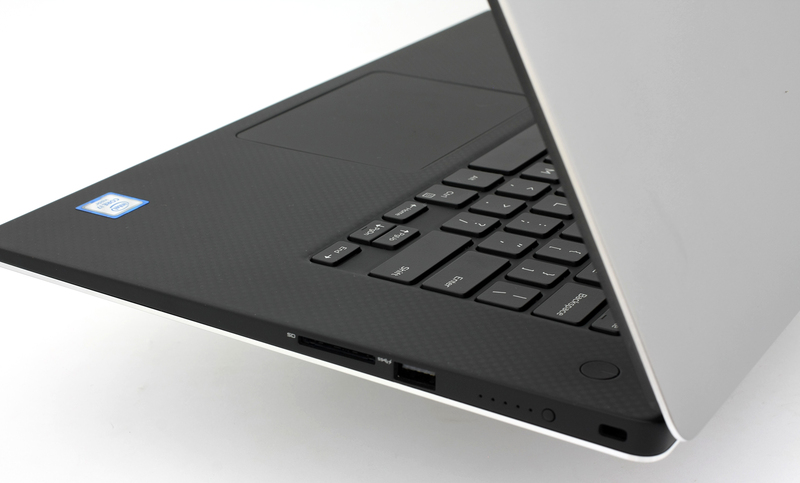 Despite the incredibly thin profile, the left side has almost all the connector’s you’d need – DC charging port, HDMI, USB 3.0, USB 3.1 Type-C and 3.5 mm audio jack. 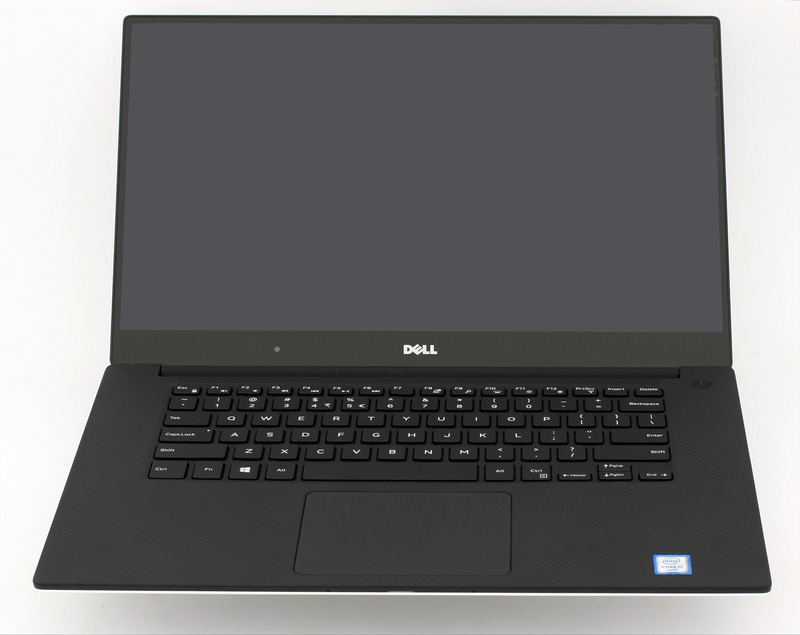 Right in the center of the front side, Dell has put the LED status light that indicates when the notebook is charging or when it needs charging. The left side accommodates only the other USB 3.0 and an SD card reader. There’s also a small button that when pressed lights up 5 LED status lights indicating how much battery you have left. Supposedly each LED translates into 20% battery life. As for the back of the notebook, it has only one big screen hinge. There’s also the main exhaust vent and given the size of the chassis, the powerful hardware and the main grill placement, we fear that the cooling system will not handle higher loads. This is actually essential for this class and that type of machine – there will be some video rendering, and probably gaming, so the user’s comfort should be ensured. The interior doesn’t get any better than this. It features rubberized matte, soft-touch finish and carbon fiber base peeking from through the transparent material. The base provides the much-needed sturdiness while keeping the weight low. Unfortunately, though, the surface is a fingerprint magnet and the greasy fingers are all over the place. 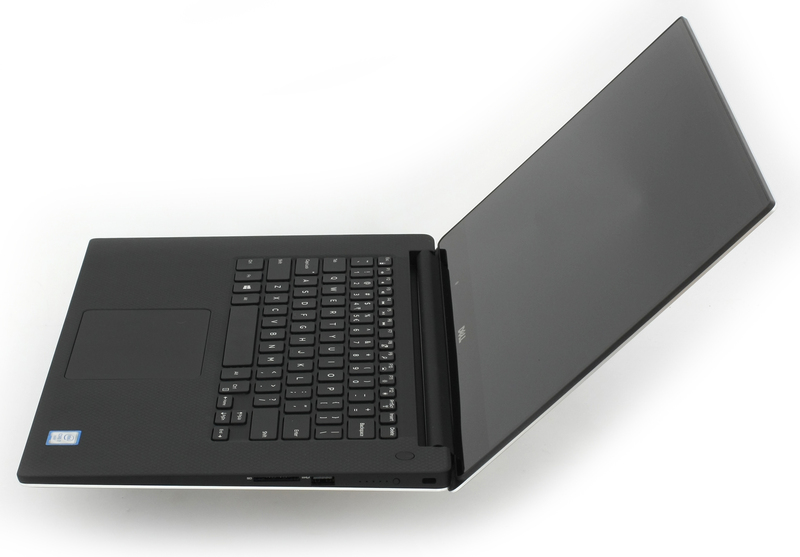 Not commonly found on Windows notebooks, but the keyboard follows the MacBook concept with centering the keyboard and touchpad without the Numpad area. This provides better comfort while typing without accidentally touching the surface of the touchpad. The keyboard offers long key travel with well-spaced and big enough keys. But we often found ourselves missing the enter key because it’s half-sized. Finally, the touchpad is even better – it’s one of the best we’ve used in a while. It doesn’t inherit the somehow strange performance of the 13-inch version – it’s clicky, most of the surface registers left mouse click and it’s really precise. All gestures and swipes are perfectly handled. To sum things up, the design and build quality are just flawless, but we shouldn’t be expecting anything less when considering the price tag of the XPS 15. What really impressed us, however, was the ridiculously low weight (2.0 kg) and thin profile (11-17 mm) and it’s general size. The uniquely thin screen bezels cut down on the size making it extremely portable and powerful 15-inch notebook with UHD touch screen. The manufacturer of this gorgeous display is no other than Sharp. The unit’s model number is 7PHPT-LQ156D1 packing UHD (3840×2160), IPS, touch-enabled panel with glossy finish. In 15.6-inch diagonal, the notebook packs the eye-popping 282 PPI pixel density, 0.0899 x 0.0899 mm pixel pitch and can be considered as “Retina” if viewed from a distance equal or greater than 30 cm. Due to the IPS panel, the XPS 15’s screen offers excellent viewing angles under 45-degree angle. Dell has included the so-called Dell Display Manager pre-installed software for calibrating the screen. You can see all the available presets on the image below. The panel surprises with high screen brightness of 345 cd/m2 and despite its reflective surface, the notebook should be able to provide relatively clear image outdoors. The maximum deviation is only 7%. However, the color temperature is a bit high and colors appear slightly “colder”. We measured 7365K, but it’s still close to the 6500K optimal. To put things into perspective, we would like to give you a little introduction into the sRGB and Adobe RGB color gamuts. The CIE 1976 Uniform Chromaticity Diagram represents the spectrum of colors visible to the human eye, thus giving you a better perception of color gamut coverage and color accuracy. Inside the black triangle, you will see the standard color gamut (sRGB), used by millions of people in HDTV and on the Web. As for Adobe RGB, it is used to work with professional cameras and monitors when preparing print. Basically, colors inside the black triangle are used by everyone, and so reproducing them accurately is of key importance for a quality display. The yellow triangle below represents the ability of the display to cover the sRGB and AdobeRGB color gamuts – in our case 100% sRGB and 100% Adobe RGB. Excellent result that ensures perfect image quality suitable even for professional design work. The colored circles represent the reference colors, the white circles being the result. You can see the main and additional colors with 100% and 50% saturation inside the sRGB gamut. We calibrated the display at 140 cd/m2 screen brightness and 6500K color temperature using X-Rite i1DIsplay Pro. We tested the display using 24 commonly used sample colors like skin tones, grass, blue sky, orange etc. DeltaE 2000 turned out to be 0.52, which is super-accurate while the contrast ratio before calibration was 1140:1 and 980:1 after. All results are excellent. And here’s another batch of colors used to verify the accuracy of the colors. We were pleased to see that our oscilloscope indicates almost no PWM dimming. Screen flickering appears only under 45 cd/m2 screen brightness but at this level, the display is practically unusable, unless you are in a pitch black room without any external light source. Even then, the display uses high frequency (26.3 kHz) and thus reducing the negative effect. Anyway, avoid setting it below 25%. Without a doubt, the panel is perfect for color-sensitive work like designing, video editing or photo editing. It covers 100% of the Adobe RGB and sRGB color gamuts, has accurate color reproduction out of the box, high maximum brightness suitable for outdoor work, and high contrast ratio. The pixel-packed screen offers not only vivid colors, but it’s practically harmless to the user’s eyes – we detected PWM only under 25% brightness and even then the frequency of the emitted light is so high that it reduces the negative impact on one’s eyesight. 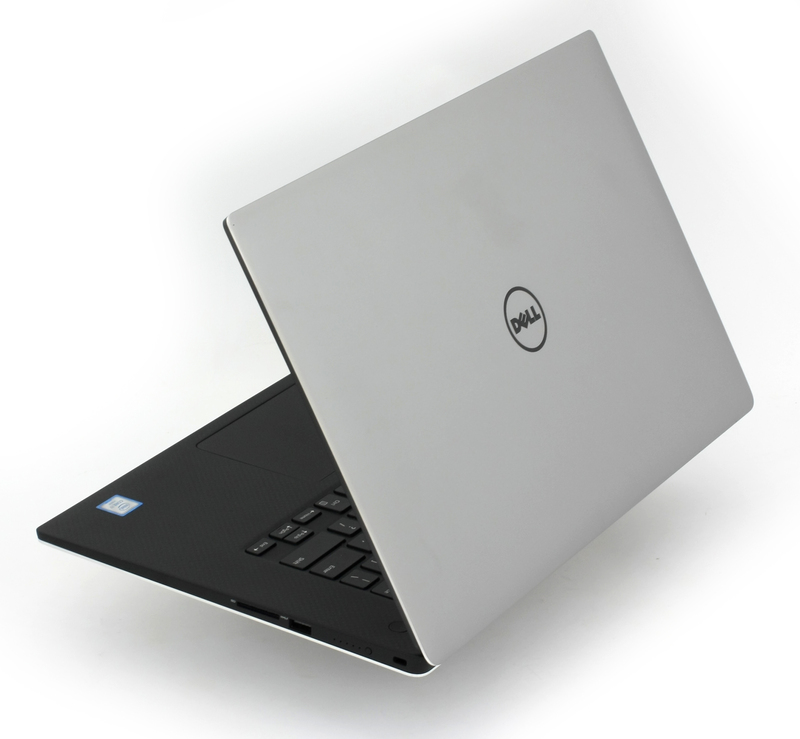 Dell XPS 15’s sound is great and covers low and high frequencies, but at times, we were hearing a strange metal rattling sound – mostly when we turned up the volume. It was quite annoying when watching movies. The basic version of the notebook with Full HD screen ships with relatively small 3-cell 56Wh battery, if you opt for the HDD version, but the 4K variant packs 6-cell 84Wh battery as long as you choose the configuration that includes the HDD. Like in our case, we have the UHD variant with HDD as a primary storage device so only a 56Wh battery can fit inside and, of course, the results aren’t all that impressive. We are almost certain, though, that the 88Wh configuration will offer more than enough juice for the machine to run for longer hours. All tests are run with the usual settings – Wi-Fi turned on, battery saver is on and screen brightness set to 120 cd/m2. Underwhelming as expected – 270 minutes (4 hours and 30 minutes). Significantly lower result, but enough for less than a 3-hour long movie – 183 minutes (3 hours and 3 minutes). The most demanding test was a bit too much for the battery – 65 minutes (1 hour and 5 minutes). Here you can see an approximate comparison between the CPUs that can be found in the Dell XPS 15 (9550) models on the market. 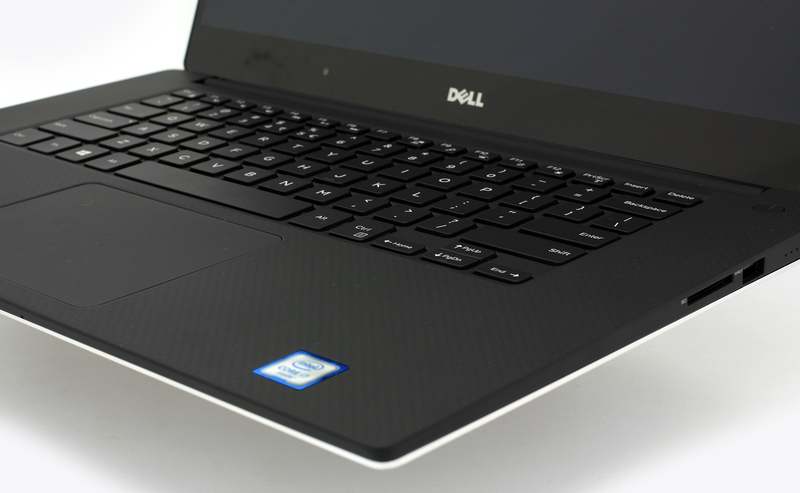 This way you can decide for yourself which Dell XPS 15 (9550) model is the best bang for your buck. Here you can see an approximate comparison between the GPUs that can be found in the Dell XPS 15 (9550) models on the market. This way you can decide for yourself which Dell XPS 15 (9550) model is the best bang for your buck. Before we started the CPU stress test, we noticed that the CPU was running hotter than most Skylake notebooks – around 40 °C when idle. Also, the fan was spinning all the time without running any CPU or GPU intensive tasks or apps. It’s pretty loud, especially for a notebook at this price range. Anyway, when we started the CPU stress test, the fan was constantly trying to keep up with the chip’s temperature (varying between around 70 °C and 90 °C) and constantly changing its RPM while the CPU was throttling and keeping speeds between 2.4 GHz and 2.7 GHz. We didn’t actually see the Turbo Boost frequency for four active cores – 3.1 GHz. 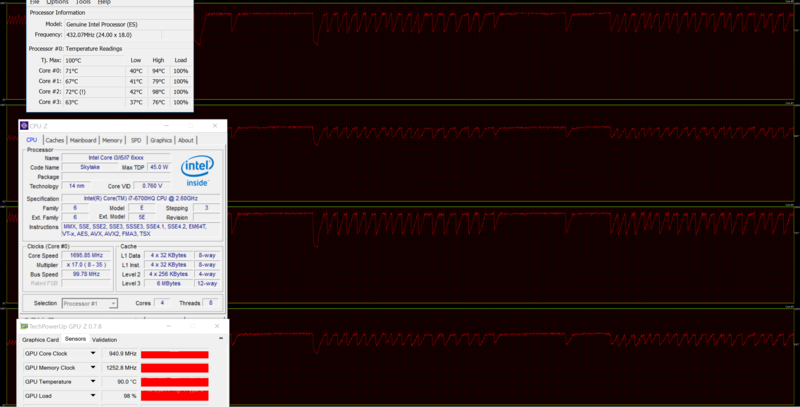 You can see the red line representing the CPU temperatures jumping up and down and the green line for CPU load. After we ran the GPU torture test, things got even worse. The CPU’s clocks were all over the place – at times around 800 MHz going up to 1.5 GHz and the maximum frequency we’ve seen was 2.7 GHz, but for short periods of time. Still, the silicon’s temperatures remained the same – jumping between 70 °C and 90 °C. The GPU, on the other hand, ran pretty hot – near 90 °C at times but kept ticking at its maximum operating frequency for quite some time. 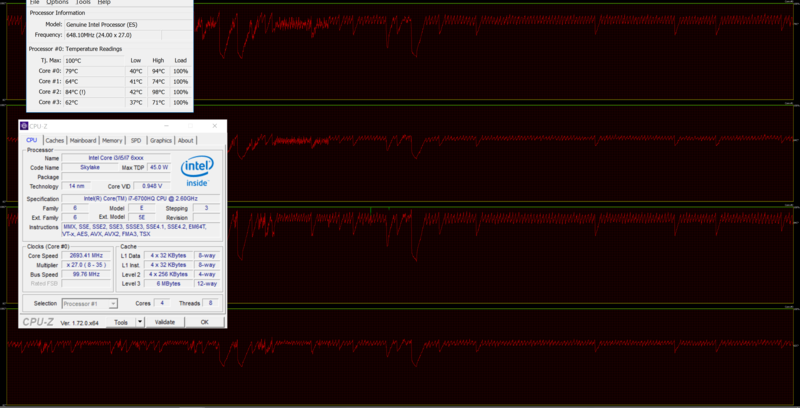 Eventually, the GPU’s clocks went down to 940 MHz but we can’t consider that to be a major throttling issue. And again, the fan was changing its RPM all the time and buzzing quite loudly, but this time, it’s understandable given the nature and duration of the test. We also measured the outer temperatures of the notebook to see how it handles higher load and see if the inner temperatures affect the user experience. But as you can see from the heat map below, temperatures were just fine and the wrist rest area remained cool throughout the whole test. We should mention, though, that the bottom piece of the notebook becomes really hot since hot air stream comes out from the bottom grill, but it’s quite unlikely that you will use the notebook so “aggressively” while it’s on your lap. 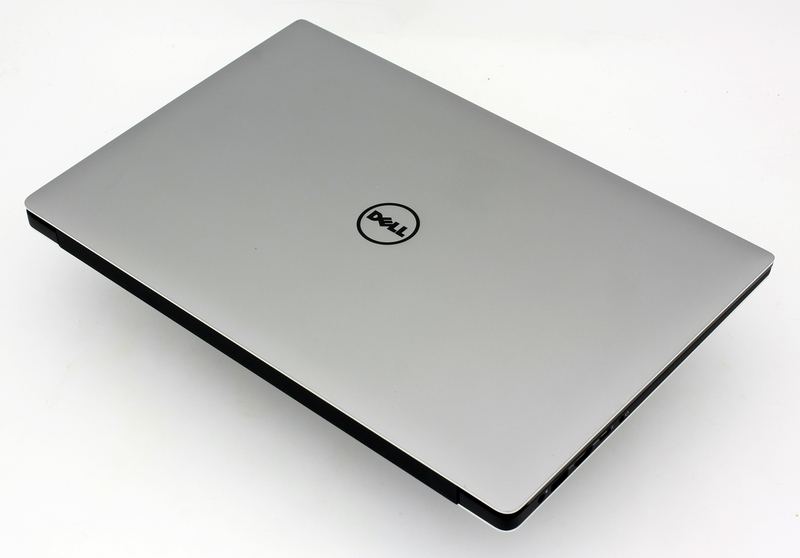 Dell has yet again presented an impeccable build quality and design featuring anodized aluminum, rubberized finish and carbon fiber base under the hood resulting in sturdy construction, lightweight chassis (just 2 kg) and incredibly small physical dimensions that are hard to see in a 15-inch device. In other words, the build matches the high price. Also, the screen is very stable when using the touch panel and that’s rarely found in such laptops. The new XPS 15 gives you the chance to use a truly luxurious notebook with all the features that a 2015 machine would offer including a gorgeous UHD screen, which is even suitable for professional work, USB Type-C port for ultra-fast transfer, M.2 PCIe SSD slot, and input devices designed to perfection. The ergonomics of the touchpad and keyboard are unmatched and are probably one of the best we’ve used so far. There’s even a powerful hardware to back it all up. However, the hardware doesn’t seem to be utilized to its fullest. Probably due to some design restrictions, the notebook’s CPU doesn’t offer the full range of frequencies, throttles under heavy load and the same goes for the GPU. As you can see from some of the benchmarks above, the expected performance isn’t met. That’s, of course, a trade-off for the mobility of the device and the cooling capabilities of the notebook. Speaking of, the fan provides enough airflow and doesn’t affect user experience at all – the interior stays cool even under extreme conditions. Since there are not many reviews on this product, this is a helpful effort for those who will pick up a new notebook. Thank you very much! At the time of review, what BIOS version was it running? Just thought I’d say why; Dell released a new BIOS update a while ago which got rid of all the throttling, improved the performance a ton (driver issues) and improved the battery life, so much so, that Notebookcheck asked Dell for another model to re-review (??? is that a word). Not clear in the article if the notebook tested has a HDD or 512GB PCIe x4 SSD. The Specs Sheet section states 512GB PCIe x4 SSD, while the Battery section states HDD. It goes without saying that the article is very well written. I liked the temperature testing especially, as it is quite extensive and informative. Although it might not be replicating real-life situations today, it is still good to know how much the cooling unit can handle. I would check which BIOS version your using, Dell released a new update a while ago which got rid of all the throttling, improved the performance a ton (driver issues) and improved the battery life, so much so, that Notebookcheck asked Dell for another model to re-review (??? is that a word). Thanks for the great review. I’m wondering how noisie this machine gets while playing games like mentioned above… In terms of concrete sone. Is there any measurements available? Or comparisons? All reviews I read so far mention that this notebook isn’t soo loud while playing games… Imagine I would use it at night in the same room my partner is sleeping. Would she disturbed? Or is it really just “background white noise”? Sound is greatly improved by turning off most of the WAVES MaxxAudio features. Or just ditching the software entirely and using an outboard EQ. I believe the XPS 15 did not have an ethernet port (LAN) as you stated on the spec sheet. Where would you place the Cam otherwise on this thin bezel? I’m giong with this compromise over the thin border vs. cam. Touchpad: I didnt experienced any problems with the pad so far – but may my usage differs from your use case. You got that right (about the title I mean). Thanks for your feedback!